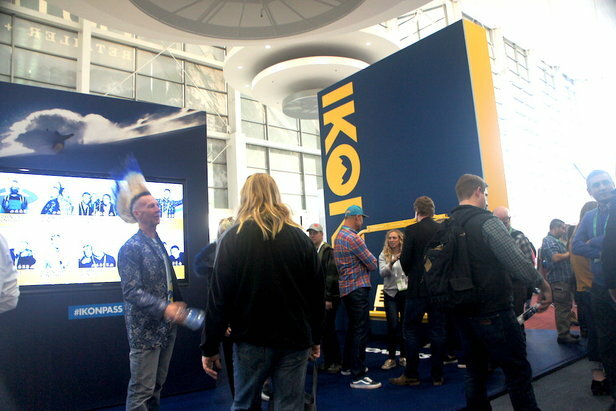 Beneath a sharply branded monolith situated at the main entrance to Outdoor Retailer + Snow Show in Denver, Colorado, Alterra Mountain Company released its new Ikon Pass to an unsuspecting public earlier this week. Excitement and bewilderment bubbled across the trade show floor as retailers and media struggled to process the tectonic shift in resort ownership and pass offerings. The Ikon Pass had arrived. The Ikon Pass unites 12 destinations from Alterra Mountain Company and 11 destination partners that span nine states and three Canadian provinces. Ikon Pass holders will have access to 50,000 skiable acres of terrain with pass privileges that range from full-unlimited access to a set number of days that vary by destination. Alterra Mountain Company’s destinations include Steamboat, Winter Park Resort, Squaw Valley Alpine Meadows, Mammoth Mountain, June Mountain, Big Bear Mountain Resort, Stratton, Snowshoe, Tremblant, Blue Mountain, Deer Valley Resort and CMH Heli-Skiing & Summer Adventures. 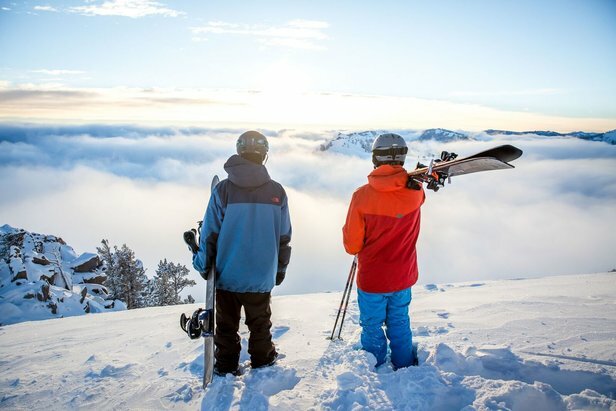 Ikon Pass partner destinations include Aspen Snowmass, Copper Mountain Resort, Eldora Mountain Resort, Jackson Hole Mountain Resort, Big Sky Resort, Killington Resort, Sunday River, Sugarloaf, Loon Mountain Resort, Alta Ski Area and Snowbird. OnTheSnow caught up with Alterra’s CMO, Erik Forsell, during Outdoor Retailer + Snow Show for a candid interview on the recent pass release. OnTheSnow: The new destinations and partners you announced today, how did you land on that group of ski resorts? Erik Forsell: We had our 12 destinations with Alterra Mountain Company and we started talking about who else would be great to start adding to the pass. We have so many relationships through the M.A.X. Pass, Rocky Mountain Super Pass and Mountain Collective. And so we started looking at a map . . . where else would be cool? What else would you put on your bucket list? We just started these discussions—now that the 12 have come together—how can we supplement this and make it even better by bringing in partners? You’ve got a lot of independent resorts that still want to feel independent . . . and we want our own brands to feel really independent and be empowered to make their own decisions. We don't want Alterra Mountain Company signs up at their resorts and we want to keep a small corporate headquarters and let them be who they really are. Every place you go has such a different flavor . . . we weren't trying to commoditize or make anything the same. OnTheSnow: What will become of the Rocky Mountain Super Pass and Mountain Collective? Erik Forsell: This will be the last season we honor the Rocky Mountain Super Pass and M.A.X. Pass. The Mountain Collective will continue on. OnTheSnow: In terms of your target market for skiers, what’s your major focus? Erik Forsell: So we looked at each region. A pass for some people is just to go to their home resort and a pass for other people might be to start on the East and take a trip to one Western destination; or it might be to just go up and down the coast of California; or ski around the network in Utah. So we definitely took a regional approach . . . answering, "Who is our consumer?" We try to look at all those things knowing the pass means so many different things to many different people. That will be an interesting part of the Ikon brand: building something that ties into the emotion of being outside, but not necessarily picking a demographic. OnTheSnow: How did you come up with "Ikon" and why "K"? Erik Forsell: We kept talking about iconic destinations and bucket list destinations. As we were brainstorming and workshopping names, we just said, look, it's all about these iconic places that you know and have heard about for years, and so it just got shortened to Ikon. The ‘K’ is to be unique, a little bit different . . . we want these resorts to be unique and different, so it makes sense for the name to be unique and different too. OnTheSnow: What about retail or lodging? Are you thinking about extending out into those markets down the line? Erik Forsell: Our goal at Alterra Mountain Company is to support the destinations—if we can help them with technology or back office improvements or more business intelligence, supporting things like that—we want to empower the resorts to feel and look independent but then have the benefits of scale (not necessarily seen by the consumer, but seen by our destinations). We think we can bring some efficiencies to retail, restaurants and hotels, but it's not through a centrally-branded product, it’s just things that the consumer won’t see. Erik Forsell: We are super excited about the launch today. I really do think that there will be a lot of skiers and riders that get introduced to destinations they've never been to. We took this idea that we are going to curate resorts, not collect—it was never about scale or total acreage—it was about what are the places we really wanted to go. Added clout comes in the form of U.S. Ski Team’s Mikaela Shiffrin, who has partnered with Alterra Mountain Company as an investor and is helping launch the Ikon Pass as an Ambassador. The Ikon Pass goes on sale in the spring and further specifics on pricing and resort access will be announced in the coming weeks. Find the full Alterra press release here.